Italemmezeta was the predecessor of Italjet, a firm established in Bologna, Italy in 1958 by Leopoldo Tartarini, son of Egisto Tartarini, an Italian racer. 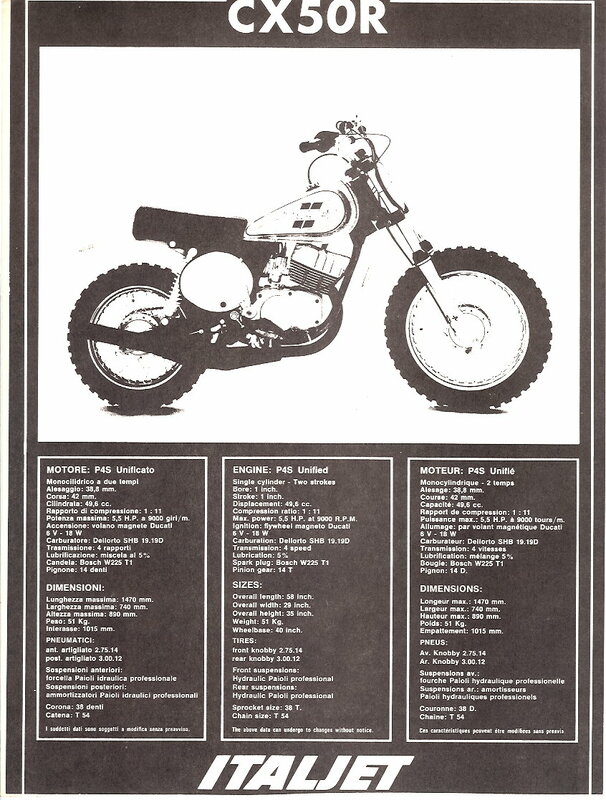 Early machines employed MZ engines. 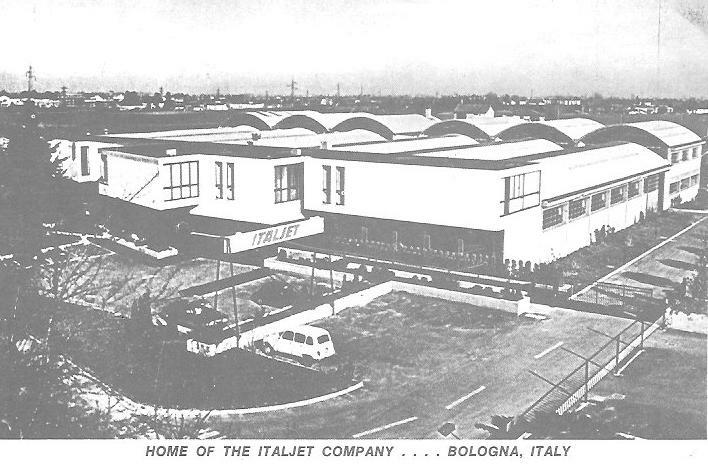 In about 1966 the firm’s name changed to Italjet. They have built over 150 models of motorcycles and mini-cycles. Italjet sold the complete manufacturing and distribution rights for seven of its scooter models to the Kinetic group of India in January 2007. (from Sheldons Emu). 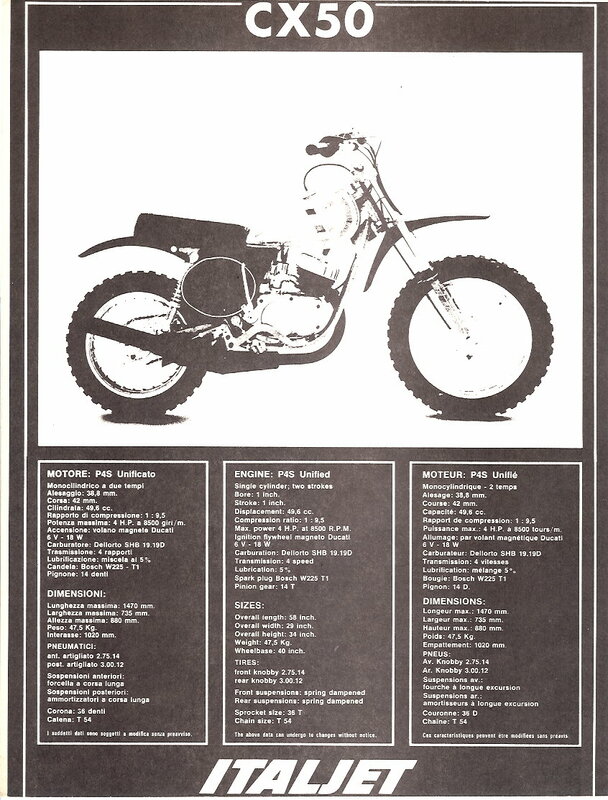 In the 1960’s 50cc motorcycles were popular, and a 250 was considered a big bike. 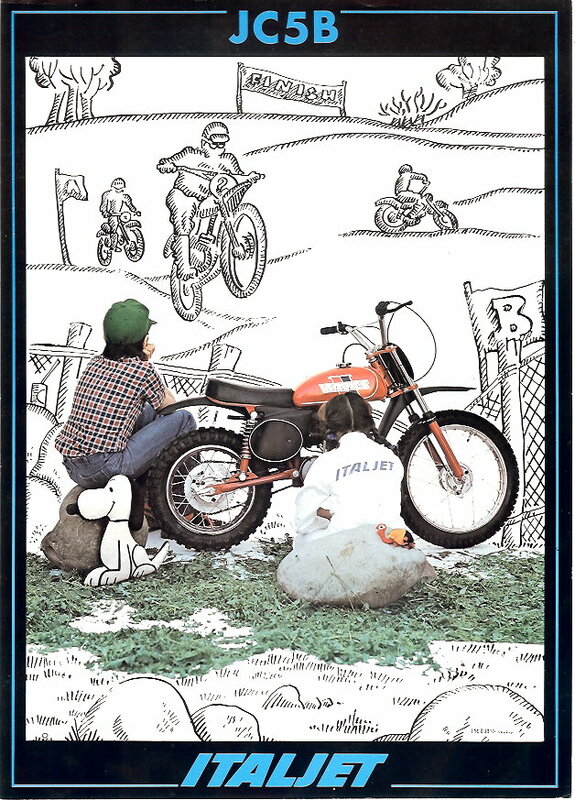 50cc racers screamed over 100mph around full size race tracks, in front of thousands of cheering spectators. 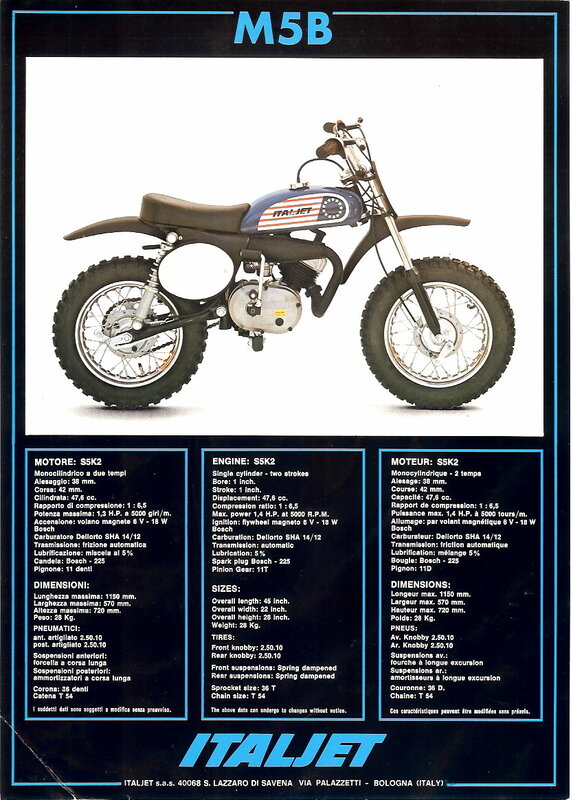 There are four 50cc models, Scout (top tank mini), Ranger (step-thru mini), Trial (off road tricks), Veloce (speed racer). Floyd Clymer, 222 N Virgil Ave, Los Angeles CA 90004, imported Italjets in the late 1960’s, branded as Indian. 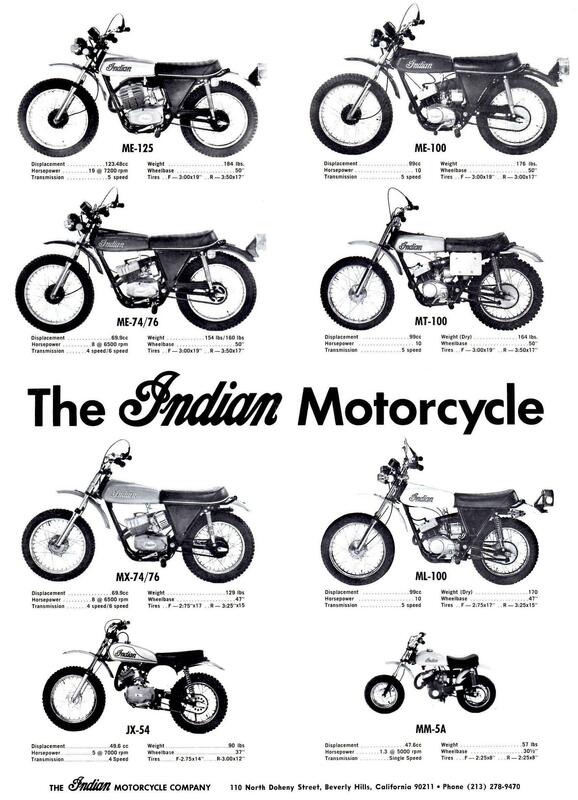 Italjet also built a small number of machines with Royal Enfield 750cc engines for Floyd Clymer in the late 1960’s, who owned the Indian name. 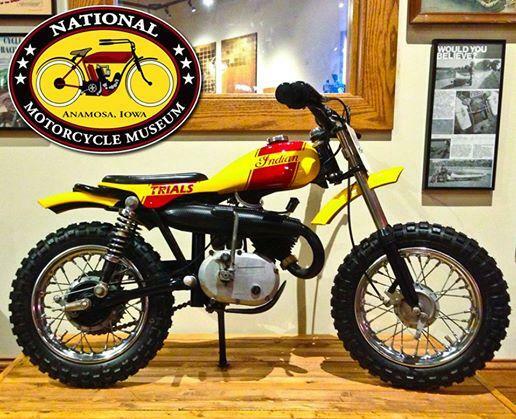 Around 15 of these quite handsome motorcycles are believed to exist. 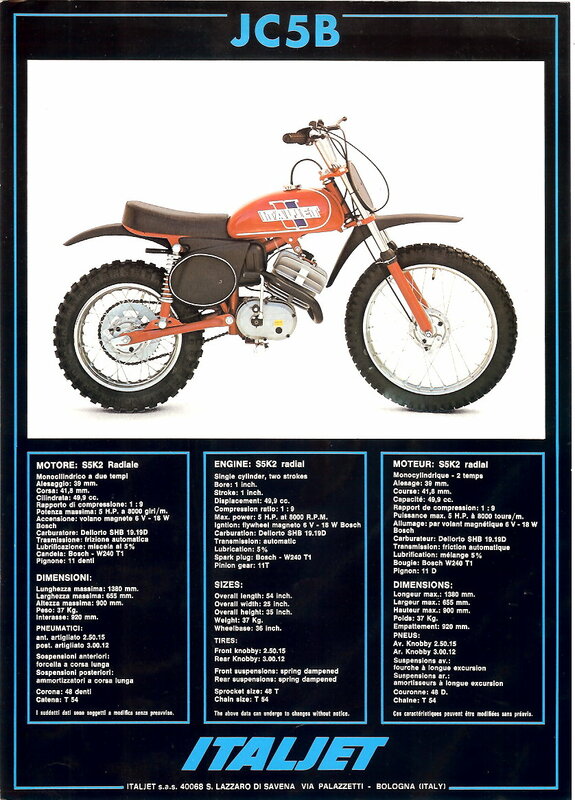 Clymer died before the project came to fruition and the remaining 200 Enfield engines were sold to Rickman, resulting in the Rickman Interceptors. 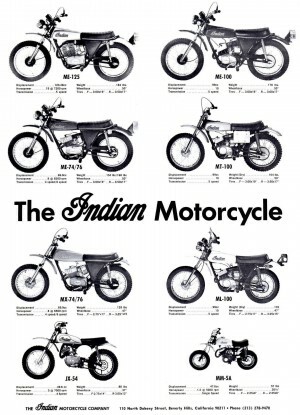 The 1969 Indian 50cc models, made by Italjet, were Papoose (45-50mph 4-speed 4.9hp), Pony Bike (45-48mph 3-speed 5hp), and Boy Racer (50mph 3-speed 6hp). 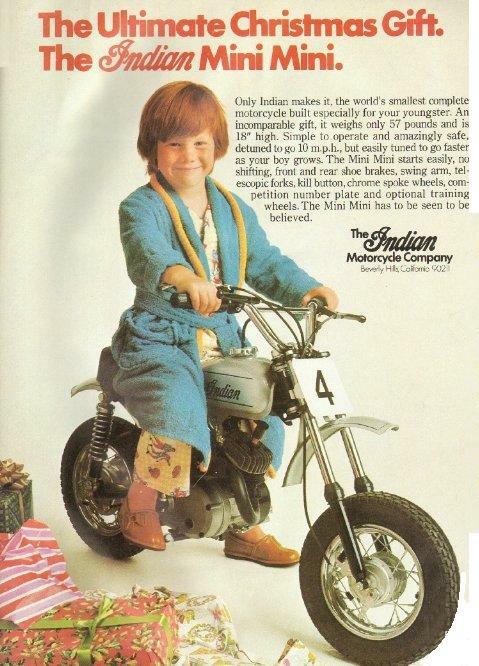 Indian Motorcycle Company, 110 N Doheny St, Beverly Hills, CA 90211 USA bought the Indian name from Floyd Clymer. 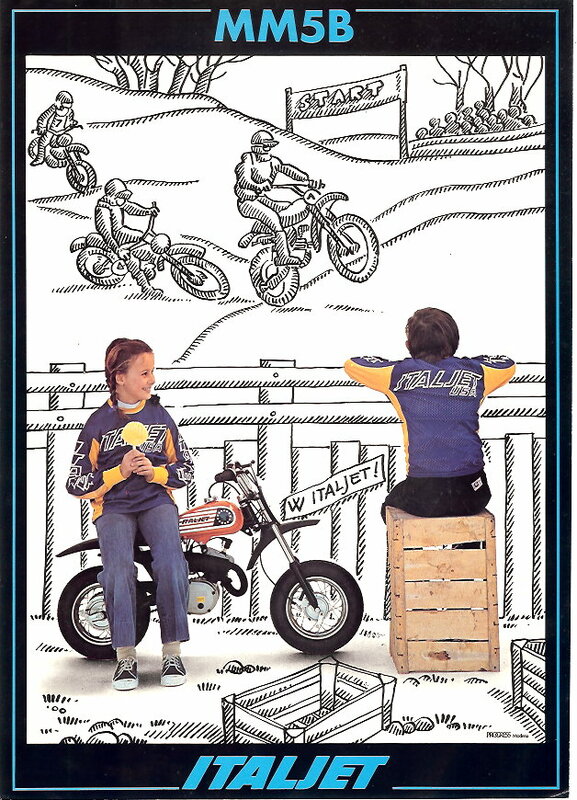 In the early 1970’s, they imported Italjet motorcycles and minicycles. 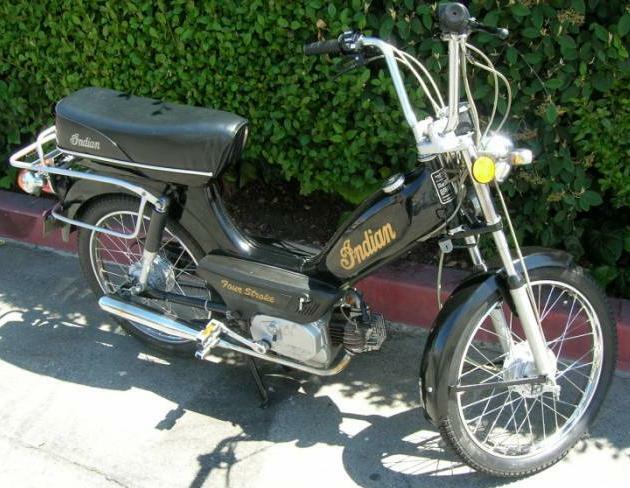 At some point around 1977, Indian Motorcycle Company sold the Indian name to American Moped Inc., who used the Indian name on their 4-stroke mopeds made in Taiwan by Merida, from 1978 to 1984. Italjet USA 7471 Greenbush Ave, North Hollywood, CA 91605 USA, imported and distributed Italjet minicycles in the late 1970’s. 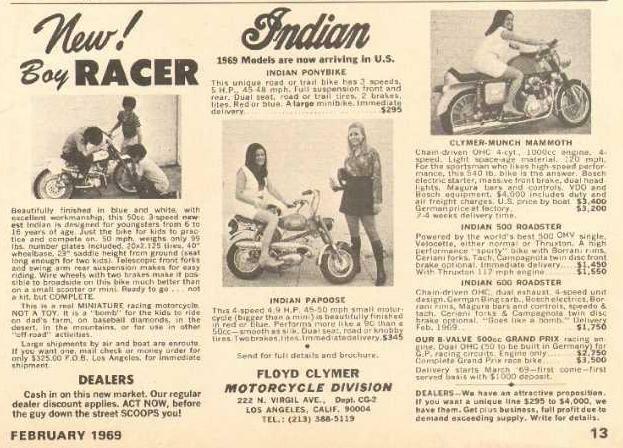 The Indian brand name was no longer in use, but they still listed the older Indian model names in their price list. 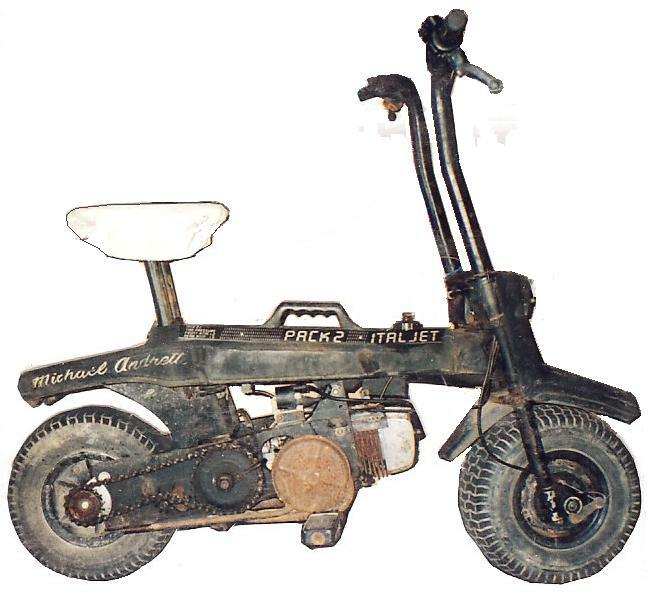 Italjet Pack-a-way: The only US-model Italjet moped was the Italjet Packaway collapsible mini with pedals and a Morini MO-1 engine. The Italjet Pack 2 had foot pegs, kickstart, and a Vespa Ciao engine. 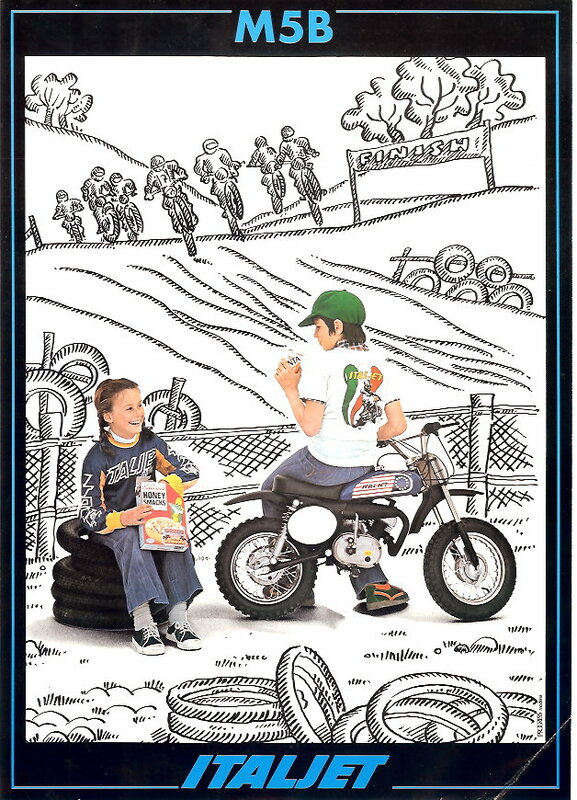 Italjet components: The off road Italjet models have some of the same components as Italian Mopeds, such as Grimeca brakes, axles and hubs, Dellorto SHA 14/12 or 14/9 carburetors, Bosch or Ducati ignition parts, Morini engine parts, #415 drive chain, and possibly things like cables, fuel petcocks, steering nuts or bearing races, etc. You are currently browsing the archives for the Italjet Parts category.